1.8 x 1.7 x 0.6 cm. 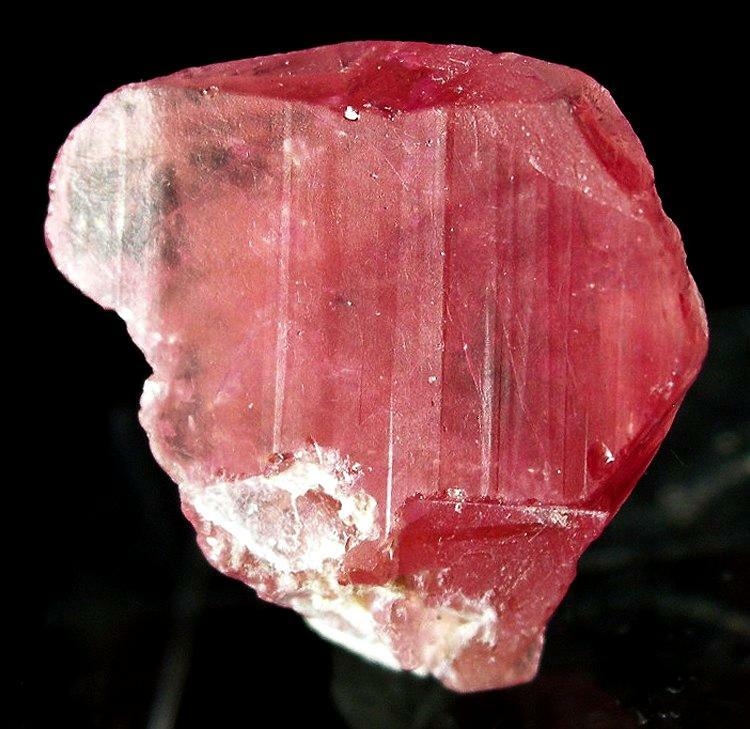 A gorgeous, vivid pink, gemmy and euhedral pezzottaite crystal. The crystal has textbook tabular, hexagonal crystal form. Pezzottaite is the very rare cesium analogue of beryl, first discovered in 2002. These caused a lot of excitement when they came out and were at first, called raspberry beryl.